There are only two Everglades found in the world, with the Noosa Everglades being one of them. They are an area of extreme tranquility, best explored either by a boat or a kayak. You will find water lilies, melaleucas, tea trees, banksias and reeds. Of all the variety of birds you’ll find throughout the Australian continent, 44 percent of them can be seen in this area alone. Pretty impressive! You could even spot a rare jabiru! Your senses will be overloaded as you experience the Noosa Everglades via kayak. At times, you will probably forget to keep paddling as you will be so awestruck by your surroundings. There is nowhere more stunning than this beautiful wilderness. Paddle through this vast piece of nature and take in the view. 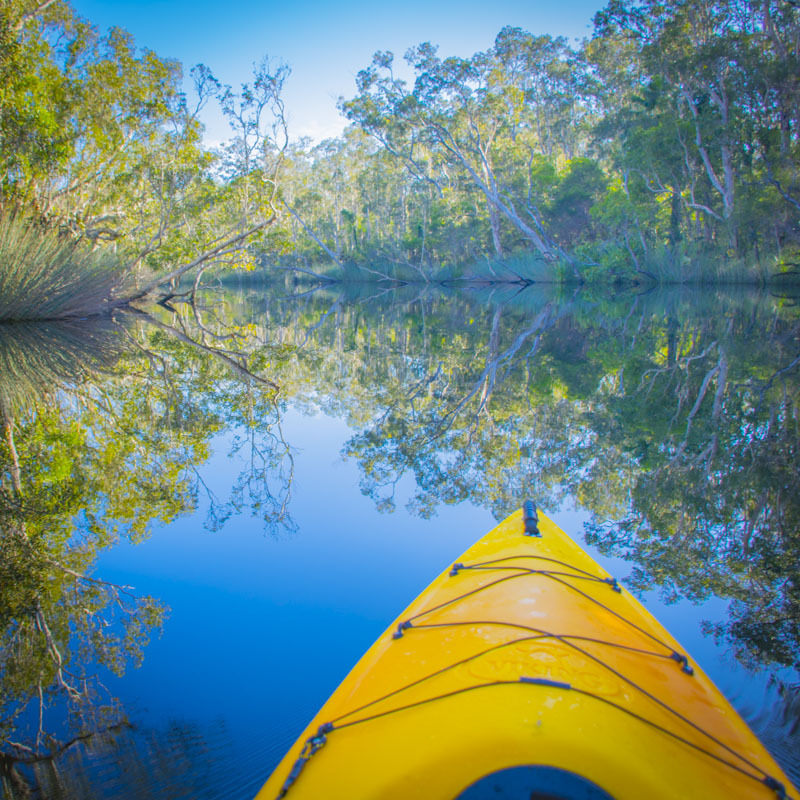 There are some companies in Noosa offering guided tours via kayak, as well as others from whom you can just rent a kayak, depending on your preference. One of these companies include Kanu Kapers Australia which features 2 or 3 day kayak options for you to choose from. Key spots in the Everglades include Lake Cootharaba and the Upper Noosa River where the water reflections are breath-taking. Whatever your preferred route, you will have an amazing experience, basking in the perfect Noosa weather. There are companies like The Discovery Group offering scenic boat cruises along the Noosa Everglades. If you are the less adventurous type or just looking for a relaxing experience, this is your best bet to experience the Everglades. There will be loads of opportunities for you to take plenty of Instagram worthy shots before returning to your accommodation in Noosa! You will also spot plenty of Noosa wildlife during your trip. There is nothing closer to paradise than watching the waters change color while the sun sets as you’re cruising along. Regardless of how you choose to experience the stunning Everglades, whether by kayak or by cruise boat, in a tour or alone, you are going to have the absolute time of your life. Prepare to be left breathless. If you still have energy at the end of your visit to the Everglades you could head to Mount Tinbeerwah to enjoy the sunset.